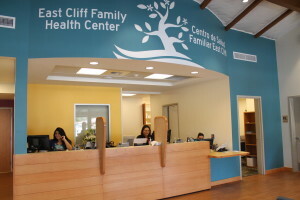 The East Cliff Family Health Center serves the primary health care needs of men, women and children regardless of economic status, through high-quality, patient-centered programs that offer primary care, pediatric services, mental health education and more. 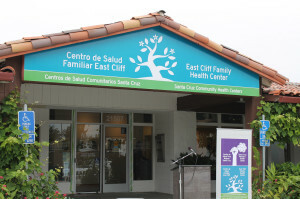 In 2012, SCCHC received federal funding and unprecedented support from Dominican Hospital and its parent organization, Dignity Health, as well as Sutter Santa Cruz/Palo Alto Medical Foundation, to launch the East Cliff Family Health Center. Dominican and Sutter/PAMF are each investing $1.5 million in the SCWHC’s Live Oak operations between 2014 and 2019. Dignity Health, Dominican’s parent company, provided a loan for tenant improvements to the 9,000 square foot leased space at the East Cliff Village Shopping Center. In addition, Dominican’s highly regarded Pediatric Clinic, serving 1,600 low-income children, many of whom are high-risk patients, has transitioned to the new clinic where SCCHC is committed to growing the program. Read more about the expansion here. The East Cliff Family Health Center serves men, women and children through high-quality, patient-centered primary care, pediatric services, mental health counseling, prenatal care, and more. Here is a list of providers assigned to the clinic. Call (831) 427-3500 to make an appointment. Also go to the Appointments page for information on payment, insurance, and registration. 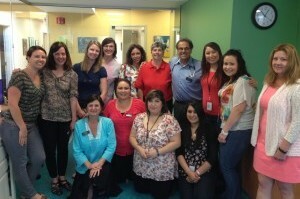 Most insurances accepted, including Medi-Cal, MediCare, Healthy Kids, Anthem Blue Cross, Blue Shield, and Health Net. Sliding fee for those without insurance. SCCHC offers extended hours appointments on site until 8pm most weekdays and on Saturdays at the SC Women’s Health Center.